The app is ONLY compatible with iPads. Download the app HERE in the Helpdesk. 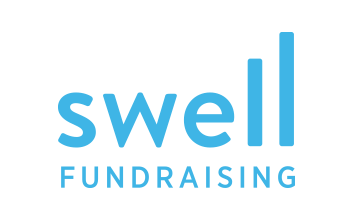 Swell will send you the login information! The iPad will pull the ticket list as seen in your dashboard. This allows your guests to check-in by their name only--no paper tickets required! 2c. Select yes or no when it asks "are you sure?" *When a guest is checked in, they will receive a welcome email! The email contains their personal fundraising page link so they can share it online with their network. This also allows he/she to get to the website to donate/pledge easily. The app only allows you to select one type of ticket at the door. You can select the "default" in products (in the SETUP section of the dashboard). 5c. You should see "swipe credit card"
*Be sure to only hit the submit button once!